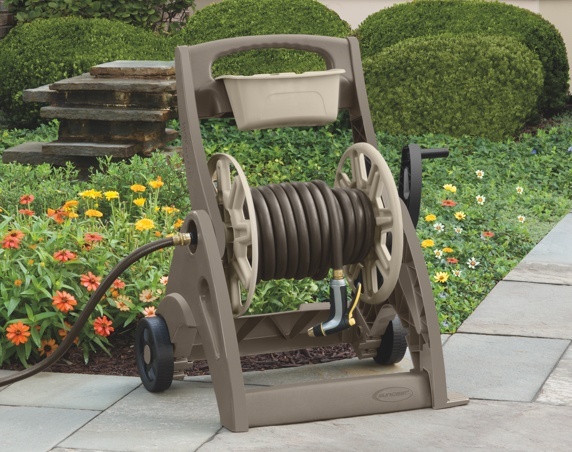 Suncast offers a wide variety of hose reel configurations, from manual carts to automatic reels. 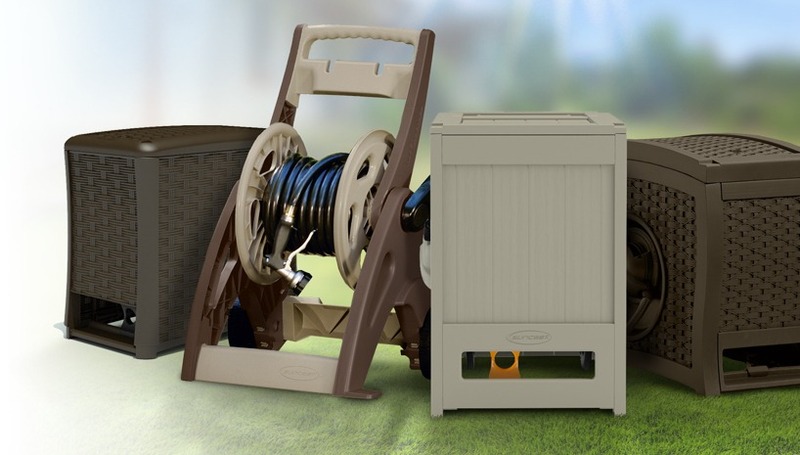 Suncast automatic rewind units use water pressure to automatically rewind your hose for you. 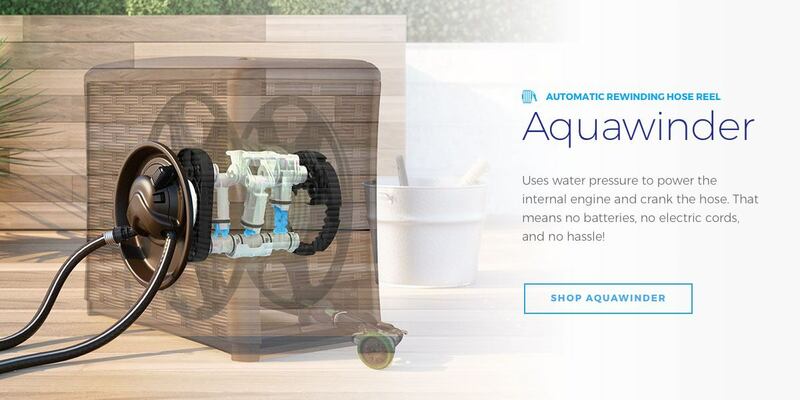 Automatically rewinds your hose with water pressure. Hands-free rewinding with the flip of a lever. 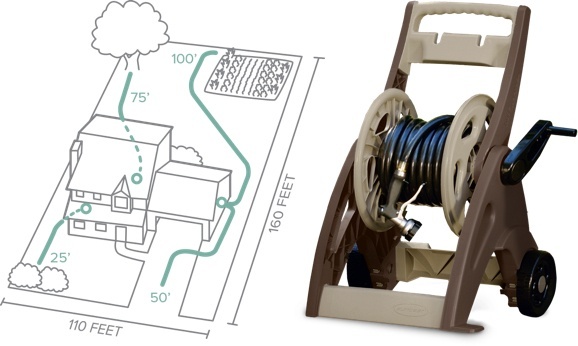 Smart Trak™ hose guide winds hose evenly. Includes leader and discharge hoses. The most popular with homeowners, this hose is lighter weight, easy to use, and very versatile. For best results, use a 5/8" standard vinyl hose. A heavier-duty and longer-lasting hose often used by contractors. 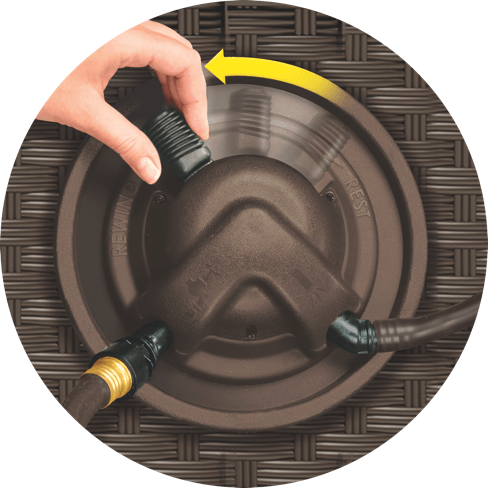 On average, a hose reel holds 25% less rubber hose than vinyl. Hose can be purchased in 25-foot increments. Typical gardening needs require 50-100 feet, but longer lengths are available to reach areas further from the spigot. Standard hose is 5/8" diameter, although contractors often use 3/4" diameter hose because it can deliver more water. 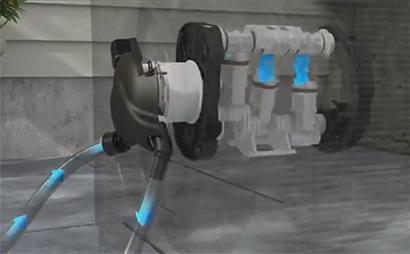 There is a connector at each end of the hose that attaches to the water source, hose accessory, or another hose. Numerous tiny holes throughout the hose allow water to seep slowly onto the ground. Designed for high water temperatures, hot water should only be run through this type of hose. How Much Garden Hose Do I Need? The easiest way to determine how much hose you’ll need is to think about your typical watering jobs then measure from the spigot to those areas. The diagram to the right can help give you an idea for typical hose lengths. For shrubs and flowers in a bed close to the spigot, you will need about 25-50 feet of hose. For washing your car in the driveway, you could need up to 50 feet of hose. For watering areas that are farther away from the spigot, consider around 75-100 feet of hose. Refer to the chart at the left for estimates based on average home lot sizes in the US. Of course, the amount of hose you’ll need varies based on the size of your yard. 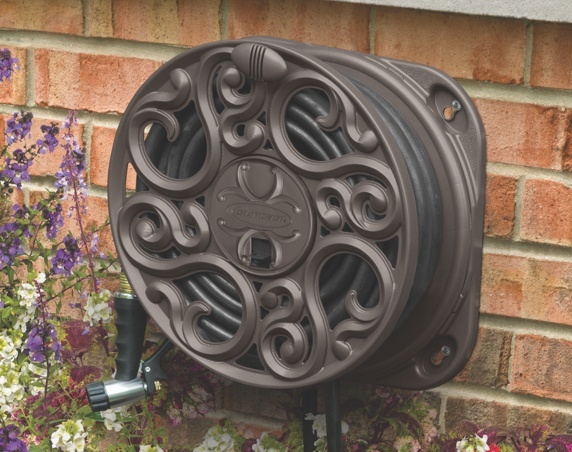 Suncast automatic rewind units use water pressure to automatically rewind your hose for you. 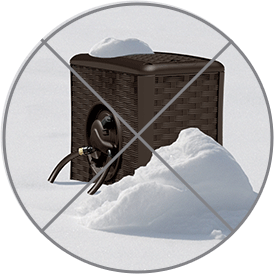 During each rewind, the units discharge about 4-6 gallons of water that you can recycle and use throughout your yard.